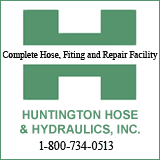 The Huntington Sanitary Board has voted to renew a three year street sweeping contract with a Columbus, Ohio firm that costs $297,980 a year. According to a report, the Water Quality Board --- which encompasses the HSB --- has not yet received a letter from City Attorney Scott Damron rendering in writing his prior opinion that the street cleaning contract qualified as a "day to day" operations expense and would not have to be approved by Huntington City Council. Mayor Steve Williams who chairs the boards asked at the October meeting that Damron prepare the memorandum letter . The "day to day" exception allowed the board to approve last year's fee increases without 30 day notice. The WV Supreme Court ruled in a suit filed by Steel of WV that the lower court did not error. The justices told Steel of WV that the action should go before the State Public Service Commission. Tom McCalister, one of the writers of Huntington's city charter, has cried foul at the proposed interpretation of ordinances in renewing the street sweeping contract. McCalister, who was defeated by Williams for Mayor in 2016, told HNN that approving the contract without a city council vote violates the charter and state law. He asked whether the HSB put the contract out for bid. During the discussion, McCalister "announced" he'd run for mayor again. That's news to former council chair Scott Caserta who told HNN that McCalister has said he will favor Caserta.